How to Enter the BIG Giveaway! UPDATE: WordPress will only allow a password to be 20 characters long, so just enter the first 20 numbers as your password! 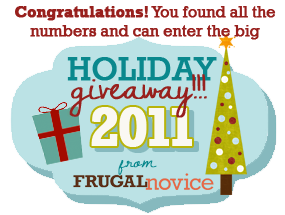 This giveaway is only open until 10 a.m. Central Friday, December 2 so be sure and enter now! Hunt them down in the order they’re provided (I’ve included dates to make it easier to keep track). Go to the password-protected post. ONLY those people who know the correct 20-digit password (the first 20 numbers, in chronological order) can view the post and comment to enter the one-day giveaway of $50 cash, to be delivered December 2 via PayPal! Note – This is NOT the entry post – go here to enter the password! Do you “like” Target on Facebook? If not, you ought to! Find out about great deals, like the one that starts today and runs through December 3. 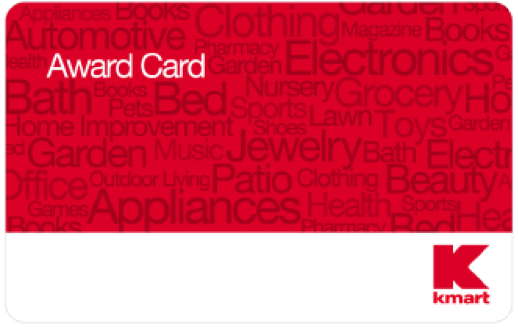 First, go on over and “like” Target’s Facebook page so you can print the coupon… then you’ll get a free $10 gift card when you spend $50! Simple, right? Happy shopping! We’ve been wanting to make over our bedroom (well, let’s be accurate. I have been wanting to – I don’t know that the thought has crossed Brian’s mind!) for a while now. It seems like it’s always the last space in our house we think about, but I like the idea of having a beautiful, serene space to end and begin the day in. That’s why I’m loving kate spade new york’s newly introduced, expanded bedding collection, featuring four new styles inspired by the simple silhouettes, vibrant colors and classic sophistication the brand is famous for. Each collection includes a duvet cover, shams, coverlet, sheet set and decorative pillows, and are available at Bed Bath and Beyond for $39.99 – $199.99 depending on item selected. Check out the collections below – aren’t they great? I especially love the Whisper Whirl collection, but they’re all really fun! Dragonfly Drive features the signature kate spade new york dragonfly emblem embroidered on both the duvet and shams. Lattice print accents, ribbon detailing, and a soft green pallet put the finishing touches on this garden-inspired collection. With just a wink towards nautical inspiration, Newport features navy and gray ribbons neatly tied into bows across a cream duvet. Polka dot and stripe accents create a perfectly preppy look for any bedroom. The sophisticated gray and pink pallet of Thistle Street is an ideal backdrop for the playful floral design featured on the duvet and shams. Subtle in design and neutral in color, the collection lends itself beautifully to a variety of design and color themes while still remaining a focal point. Whisper Whirl features white ribbons in a swirl effect on the duvet and shams over a soft blue pallet reminiscent of a clear sky. Stripe accents add a touch of tailoring to a collection that is otherwise as light as air. Don’t forget, you can find these collections at Bed Bath and Beyond for $39.99 – $199.99 depending on item selected. Dress up your bedroom, or give someone the gift of a total bed makeover! With the advent of digital cameras, we all tend to take a ton of photos. With cameras on phones, it becomes even more prevalent! Why not take advantage of this trend and create a custom photo gift for people on your list? As a parent of young children I can definitely attest to the fact that grandparents love photos of their grandchildren. It gets a little old giving them framed photos time and time again, though. You can only get so creative with frames, and then eventually people will start to run out of space for them all! Now it’s easy to create something more unique for your loved ones – just in time for the holidays, Nero has added a new, enhanced service that will let anyone design and print beautiful custom photo books, calendars and greeting cards through its free Nero Kwik Media software. I ordered a photo book of the boys for my grandma, and I know she’ll love it! Kwik Media lets you collect photos from all the PCs, Android smart phones and tablet devices in the family and then sync, manage and produce memories for a lifetime in smart, professional looking photo books and other projects. The service makes it much easier to create projects from start to finish. Kwik Media streamlines the whole process – allowing you to import photos from different devices wirelessly, assemble your favorites into a file, and then make edits like red-eye removal, enhancing and cropping, with just the click of a button. Instead of using a bunch of different programs Kwik will have all your photos ready to choose from, just pick a project and drag your photos into the order you want. Once your layout is finished, you can choose from a huge selection of themed clip art to give your project your own personal style. Just pull in by drag and drop and size to your preference. Kwik Media lets you give every project a personal touch. Photo products ordered through Nero Kwik Media are printed regionally from professional printers. Books typically ship within five to 10 business days. Kwik Media has other functions. You can use tools to create slide shows and post photos and videos to Facebook, YouTube, Flickr and other online social networks. You can also use Kwik Media to manage your music and videos. For instance, you can use the software to burn content to DVD and Blu-ray discs so all your entertainment is in one place. Note: I received a code for a free photo book for writing this post. All opinions are honest and are my own. Hi everyone! 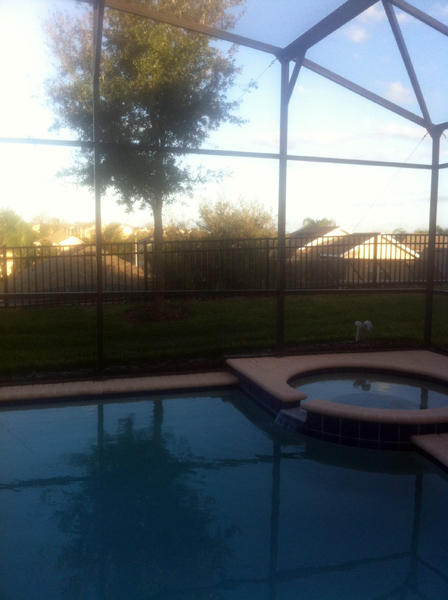 Today we’ve got the pleasure of a guest post from the blogger at Penelope’s Oasis. I hope you’ll take a minute to stop over and visit her great blog… and you’ll definitely want to try out her recipe that she’s sharing with us today. I’m Penelope, author of Penelope’s Oasis, and today my friend is letting me share one of my favorite recipes on her blog. We are a big pasta-loving family, and this time of year, when we have lots of family over often, we especially love this tasty and easy-to-make recipe of linguine with sun-dried tomatoes and kalamata olives. 2. Add the linguine and cook until tender (about 8 minutes), stirring occasionally. Drain and place on side. 3. Combine the sun-dried tomatoes, olives, basil, garlic, oil in a bowl and mix gently together. 4. Add vegetable mix to pasta and stir together. Place in a large serving bowl and top with shredded parmesan cheese, salt and pepper. Stir gently together just enough to coat, and serve. We hope you enjoy a favorite family recipe, and have a great holiday! If you’d ever like to see more of my favorite recipes, come visit us! 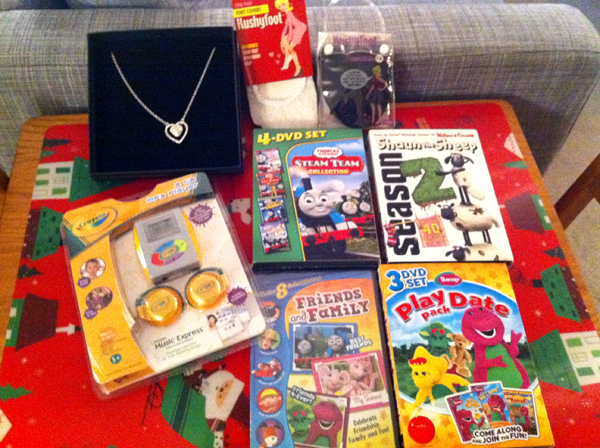 If your child has pretty much every toy known to man, it can be hard to come up with a good gift idea! Well, look no further. Moms, dads and gifting-gurus alike can appreciate the ease of gift cards, and Chuck E. Cheese’s gift cards are just that – simple and fun! While out and about, parents can stop by their nearest Chuck E. Cheese’s or any participating CVS, Target and Walgreens store to load any amount onto a Chuck E. Cheese’s gift card redeemable for food, games and lots of fun at any location. I know for us, it’s one of the boys’ favorite places to go. We can all share a pizza and then spend some time playing games as a family. So, be sure and think about a Chuck E. Cheese gift card this holiday season as a fun gift or stocking stuffer for the kids on your list! TWO lucky winners will win a Guest Pass Card, which provides you with a large pizza, four fountain drinks, and 30 tokens – perfect for a fun family night! This contest is open to all U.S. residents. Entries will be accepted until the end of the day (midnight Central) Wednesday, December 14. 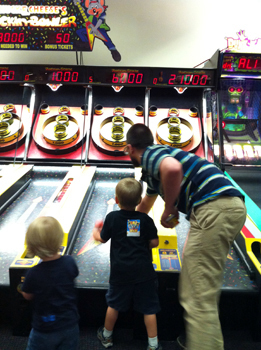 Mandatory Entry: Comment on this post telling me what your favorite game is at Chuck E. Cheese! Note: Chuck E. Cheese is providing the two Guest Passes for the giveaway. All opinions provided are honest and my own. I did not receive any products or compensation for this post. Kmart has a great selection of toys, home goods, clothing and more – and they even have a layaway program to help make holiday shopping more affordable! You can find something for pretty much anyone on your shopping list at Kmart, and get everything taken care of in one stop. So, be sure and shop at Kmart between November 27 & December 3! Find out more here. Limit (1) $5 Award Card per transaction. Award Card redeemable 12/5/11 thru 12/9/11 unless prohibited by law. Layaway purchases receive savings off the layaway contract instead of an Award Card. 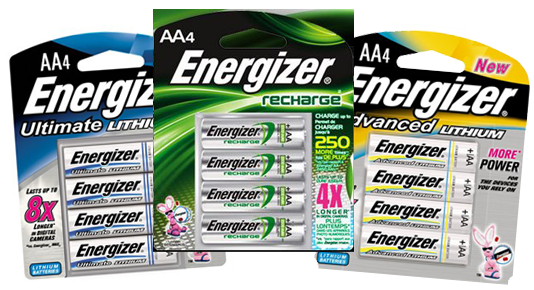 Award Card amount / savings applied and pro-rated across all qualifying items for the offer, including qualifying items purchased in addition to the minimum requirements or limits of the promotion and will be deducted from any refund. While Award card quantities last. 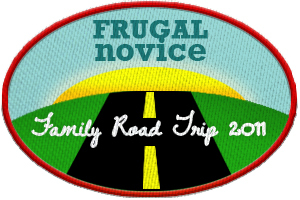 Qualifying online purchases will receive an e-gift card, via email, no later than 12/15/11. *Includes regular, sale and/or clearance-priced items. Excludes gift cards; non-merchandise; concessions; federal or state regulated items; alcohol; tobacco; fuel; items behind the pharmacy counter; prescriptions; prior purchases; partial-paid special order items; cell phones and accessories; Lands’ End; Two Hearts Maternity; Scrubology and Sears merchandise rung on Sears registers within Kmart. Purchase requirement calculated before taxes and after other discounts have been applied and must be made in a single transaction. Note: I received a promotional item to thank me for this post. Filtrete Water Station – Filtered Water for a Family on the Go! I have a confession to make – I used to be a bottled water addict. I’d indulge this addiction regularly, buying some each week. I had a stash at home and at work, too. It was taking away money we could’ve spent on other things, and I finally realized it had to stop. My first step was buying a water pitcher with a filter. This worked great at home, but I still found myself either buying bottled water for when we were out, or drinking a lot of soda and tea. Now, though, I have found a solution – the Filtrete Water Station! The Filtrete Water Station from 3M provides the convenience of bottled water without the cost or waste. Unlike traditional filters that are slow and require separate bottles or glasses, the station filters water directly from the tap into four, reusable water bottles. In seconds, the water station helps reduce sediment, chlorine taste and odor from tap water. The Filtrete Water Station quickly filters tap water directly into four 16.9-oz bottles. Its fast flow filter lasts longer than traditional water pitchers, filtering two and a half times more water than traditional pitcher filters and up to 100 gallons of water. The three-month filter change indicator shows you when it’s time to replace the filter; taking away the guess work. 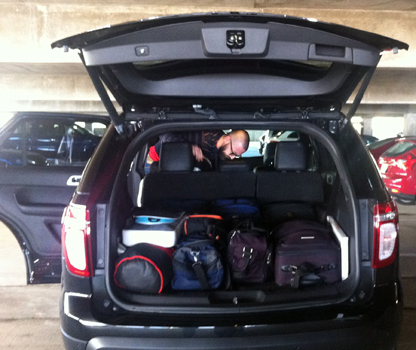 Once you’re done, you’re all set with four bottles of water to stick in the fridge or take with you wherever you go! The newest version has four different-colored lids for the bottles, making it easy to keep track of which bottle belongs to which family member. 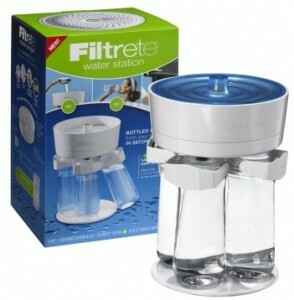 We love the Filtrete Water Station and know we’ll get a ton of use out of it. 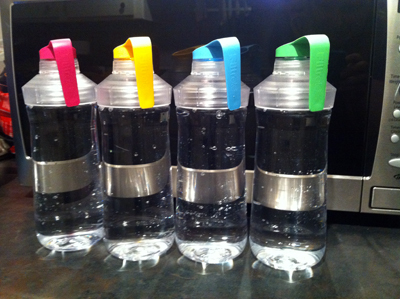 This would be a great gift item for a family or for anyone who drinks a lot of water! Note: I wrote this review while participating in a blog tour by Mom Central Consulting on behalf of Filtrete and received a product sample to facilitate my review. My husband. Brian and I met when we were just teenagers, and he is absolutely my best friend. My boys. I love the people they’re becoming, and they light up my days with their grins and the cute, sometimes quirky things they say. My parents. They are supportive and loving, and have helped shape me into the person I am today. My brother. He’s 10 years younger than me, and now that he’s in the same city as me, it’s been a wonderful blessing getting to know him as an adult, and as a friend – I’m so proud of who he is. My extended family. Near and far, they’re people I’m thankful to be connected with. Brian’s family. They’ve all taken me in and made me feel like a part of the family from the beginning of my relationship with him. Our church. We love the children’s ministry, we leave each week feeling spiritually fed, and it’s a community of people who love God and want to reflect that love onto others. Our friends, several of whom might as well be family. We are so blessed with a circle of people who love us even with all our quirks, and who are just plain amazing people. My job. Making the change from a position I’d had for 7 years was a scary leap, but I’m so happy I jumped. I love what I do each and every day, and getting to be creative makes me happy even on chaotic days. I’m blessed to have coworkers that are friends, too. Our home. It’s tiny, but it’s cozy, and it’s a safe haven at the end of a stressful day. We’ve made a ton of memories there and it will always be a special place to us. Our dogs. They are loyal parts of our family, and even though our puppy drives us up the wall sometimes we adore her and are so glad she joined our home a few months ago. Technology. I’m thankful for gadgets that let us FaceTime with people far away, that let us easily record random fun moments with the kids, and that let me take insane amounts of photos without worrying about wasting film. Kinda love DVR’s, too. Social media. Sometimes I have a love/hate relationship with it, but ultimately it allows me to keep in touch with friends all around the world and feel connected even when separated by hundreds or thousands of miles. This blog. I started it at the urging of my mom and brother almost two years ago, thinking it would be a fun hobby. I’d never have guessed how many opportunities it would provide us, and how much I’d love it even when it keeps me up late at night. It’s a ton of work, but I’ve learned so much and can’t wait to see where it goes from here. And I have to mention MomDot.com. I found this forum in January, and it’s been single-handedly the best blogging resource I’ve ever come across. I’ve learned so much from these women (& a few men!) and have become a better blogger because of it. Thankful to the creator, Trisha, for all she pours into the site so it can be a help to so many. You. Seriously. If you’re reading this, I’m thankful to you for this small act of support for my blog, even if you’ve stumbled across this post randomly. I hope you’ve got plenty on your list to be thankful for, too.